Saturday morning in my weekly BuffaloSportsPage conversation with Paul Peck and Kevin Sylvester on WECK radio, I thought that there was no way the Buffalo Bills could best the Denver Broncos. Given the fact that Denver has a strong offense and one of the better defenses in the NFL I thought it was a long-shot at best. I’ll be the first to say how glad I am that I was wrong. While the Bills played far from a good overall game, they outplayed Denver, especially in the second half and ended up winning by 10 in a game that they were a three point underdog. I have been one of the strongest people when it comes to criticism of Tyrod Taylor. I know his weaknesses and I thought that Denver would push Taylor into exposing those weaknesses. They didn’t! Taylor is at his best when he can roll out or bootleg and throw while on the run. That’s exactly what he did yesterday. On paper he was excellent, completing 20 of 26 for 213 yards and two touchdowns with no interceptions. While I won’t agree that he was excellent, he did play his best game of the 2017 season. Offensive Coordinator Rick Dennison did a very good job in calling plays that allowed Taylor to get outside the pocket and find open receivers. 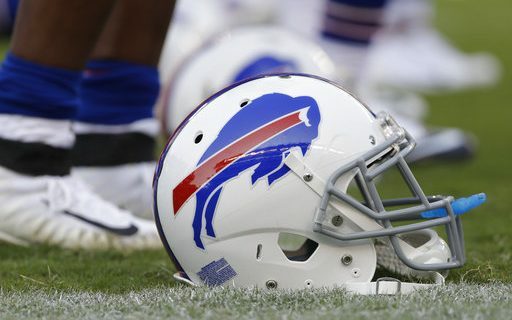 Going forward, if the Bills continue to do that, they will have a chance in every game. I thought the best play of the game for Taylor was the second touchdown pass when he looked as if he was going to run and then calmly lofted a pass to an uncovered Charles Clay. Everyone on the Denver defense flowed to Taylor leaving Clay wide open. When you have a quarterback that can extend and make plays with his feet, that is what happens. Where the Bills still need to improve as far as the passing games goes is they have to get the wide receivers more involved. Of the 20 pass receptions Buffalo had, only six went to wide receivers. There is talent and athleticism with that group. The coaching staff just needs to find a way to get them to become a more integral part of the offense. LeSean McCoy had a rough day yesterday, gaining only 21 yards on 14 carries. But Mike Tolbert picked up the slack with 41 yards on 11 carries. The Denver defense is just about the best in the NFL at stopping the run and they do an excellent job of taking away their opponents top ball carrier. Because of this, I don’t see the run game being a problem in the future. I feel this was just a one game occurrence. The Bills offense is a work in progress, but in the second half they moved the ball when they had to and were able to run clock. This is what has to be done in close games. Doing it with a rookie left tackle starting his first game is even more impressive. What I liked about the defense is that they played a very physical game. Yes, they made their fair share of mistakes, but they came up big when they had to. Forcing two second half turnovers was huge and that was basically the difference. Rookie corner Tre’Devious White had his struggles in the first half, but came back in the second to make some big plays, including the second interception. The Bills pass rush not only recorded three sacks, but they were able to put consistent pressure on Denver quarterback Trevor Siemian. It was those quarterback pressures that forced Sieman into throwing the two key interceptions. The run defense gave up a couple of big plays but all told did a commendable job. Like the offense, the defense is a work in progress. But it’s a D that seems to get better every week. The best part of watching the defense is that they play so hard and are so competitive. That is a testament to Head Coach Sean McDermott. He demands aggressive play and his players are responding. I would have to say the worst part of yesterday’s game was listening to the CBS broadcast crew. Play by play man Spero Dedes and analyst Adam Archuletta were very pro-Denver. Even up to the closing minutes of the game they could not believe that the Buffalo Bills were besting the Broncos. Network broadcast teams are supposed to be unbiased but that was not the case yesterday. Lets hope we don’t have to hear them do another Bills game this season. For more from NFL expert Greg Gabriel, visit his authors page at Buffalo Sports Page.